In what I swear is complete serendipity, a new unboxing and hands on video for the Pocketbook 840 InkPad just crossed my desk. 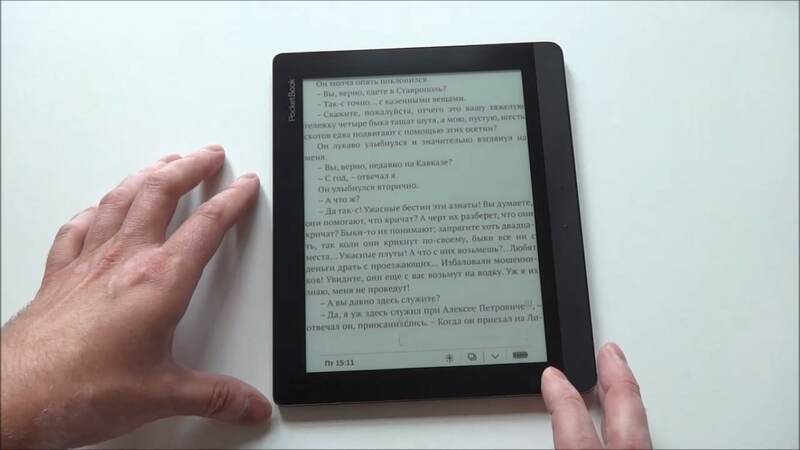 Pocketbook's new 8" ebook reader was announced in May and is scheduled to ship in Europe on 15 September, but it has already shipped to a few lucky customers in Russia. One of those new owners took 6 minutes and posted the following unboxing video. The video is obviously narrated in Russian, but the narrator's voice is pleasant sounding so I don't mind that I can't understand him. He also nails the demo process, revealing quite a bit of detail about this ebook reader. And since the video was shot in 720p it is worth going full screen for the added detail. The Pocketbook 840 InkPad sports a one of a kind 8" E-ink display with a touchscreen, frontlight, and a screen resolution of 1,600 x 1,200. It runs Pocketbook's reading software on a 1GHz CPU with 4GB internal storage, a microSD card slot, and Wifi. And as I reported yesterday, this ereader is scheduled to ship in Europe on 15 September. The retail price is 179 euros plus shipping, and Pocketbook's official site in France will ship to the US. PocketBook 840 - ????????? ?, ??????????????? ????? That looks promising. It’s about time we start seeing 8″ E-readers. According to the video, it seems to me the page turn is not very qick, it is just similar as my PB 912 pro (which as a slower CPU and less RAM). It is difficult to say, if it can be due to the higher screen resolution here, or maybe there was an SD-card scanning process running in the background (was no info on the screen about this, but the guy put the card just right a while before). I have preordered this machine, but sill looking for some info and test, because I’m curious to he quality in advance (screen, firmware stability, speed…).